A brief recap for those of you who are new to this project or blog. My daughter Piper and I are exploring Korean Skin Care and documenting it here. If you are interested in how we got to this point, I recommend checking out these posts. Korean Skin Care Project, Korean Multi-Step Routine and Where to Buy K-beauty Products In this installment we are going to cover another basic tenet of K-beauty, preparing the skin for treatment. The second step of the Korean skin care routine is toner, you know the step we all skip to save time and money in the US. However, there are no stinging astringent toners in this routine (I’m looking at you Seabreeze). These toners are designed primarily to balance the pH level of the skin to prepare it to accept the hydrating products yet to come. Remember back in the day when all doctors recommended a cleanser call pHisoderm? It came in an acid green bottle, smelled terrible, but worked on the principle of controlling the pH level of your skin. It also contained some chemical that was banned by the FDA and had to be pulled from drugstore shelves and reformulated, but that’s a story for another day. The very basics of pH are, low pH equals acidic skin which is often oily and blemish prone; and, high pH equals alkaline skin which is often dry and also, sadly, blemish prone. The sweet spot, around 5.5, is where the acid mantle of the skin is adequate to resist bacterial invasion, but neither overly oily, causing blemishes, or overly dry causing inflammation and redness. After cleansing, the skin’s pH is usually more alkaline (dry) because you have stripped some of the acid mantle when you cleansed away the day’s makeup, dirt and sweat. The right toner will slightly increase the acid level, and should also include ingredients which will nourish the skin. 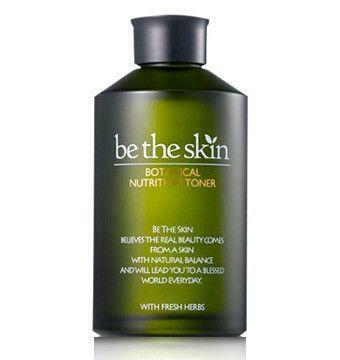 The first toner we used in this project was Botanical Nutrition Toner from Be the Skin. This toner has all natural ingredients like Laurus Nobilis Leaf Extract (bay leaf) and thyme, it has a light herbal scent and worked pretty well. It was as advertised, a no frills, all natural toner and I would recommend it for any one starting out. The price was around $25 which is pretty close to what you will spend for toner, maybe a little high, but not excessively. It is available on Peach & Lilly and Amazon. Getting a little more adventurous, we next decided to try something with a little more kick. Adding some AHA (alpha hydroxy acid) and BHA (beta hydroxy acid) is generally recommended for acne prone skin, so we chose this Cosrx product which was less expensive and Piper really likes. The spray bottle is a much easier and more efficient way to apply the product. 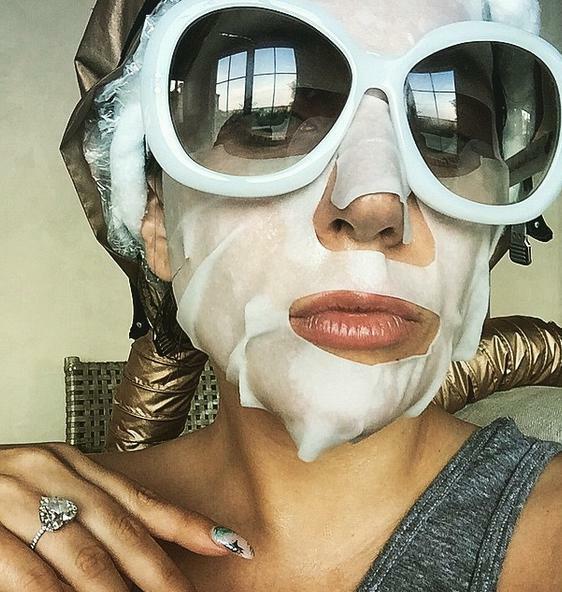 So far her skin has responded well to this toner. The cost was around $12 and it is available at Yesstyle and Amazon. 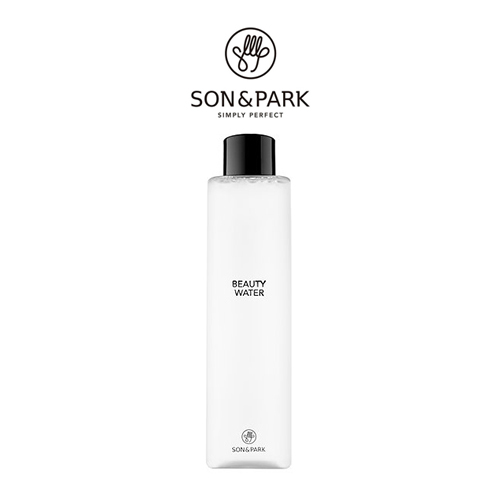 In my research I kept hearing about the Son & Park Beauty Water. So I got myself an bottle and gave it a try. I can attest it is a really nice product. It has a light scent and leaves your skin feeling soft and supple. It also has gentle exfoliating agents and hydrating properties so can be used as multi-purpose product. My only complaint, and it is a small one, is that while the packaging is sleek and modern, it pours out awkwardly and often ends up running down the back of my hand. First world problems, I know. In summary, the toner step is not one to skip. Nor is it a replacement for cleansing when it’s either too late, or too cold to wash your face. Korean toners are not the drying, astringent toners we are used to in the US, they are designed to bring the pH levels of the skin in balance to prime the skin for other products. These toners often have other benefits as well, such as exfoliants or humectants for hydration. Consider storing your toner in the fridge during the summer for a cooling treatment. If you pour the toner in your palm and pat it on the face your bottle will probably last longer. Putting it on a cotton ball usually uses more product and you have the added cost of buying cotton balls. Leave your skin slightly damp from cleansing rather than thoroughly drying it before applying toner. For travel, there are toner products that come as pre-moistened pads in jars, they are slightly more expensive and a bit wasteful, but convenient and less likely to make a mess in your luggage. Essence- the quintessential Korean product. Yep, going old school, reading a book. Now, it’s not exactly as old school as heading to the Encyclopedia Britannica, but cracking open a book to learn something has become a bit of a novel approach (and yes, I refuse to apologize for the bad pun). 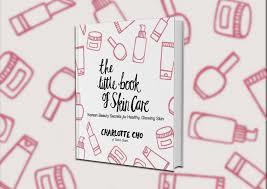 Two books that I found very helpful are Charlotte Cho’s The Little Book of Skin Care; and, Kerry Thompson and Coco Park’s Korean Beauty Secrets. Charlotte Cho is the founder of Soko Glam, which is one of the best US sources for purchasing K-beauty products. Her parents are first generation Korean and she was born and raised in California. Cho lived in Korea for five years and got hooked on K-beauty so much that she was instrumental in it’s rising popularity in the US. You may have seen her on the Today Show during the PyeongChang Winter Olympics, she is adorable and I wish she could be my best friend. Her book is a very easy and enjoyable read. Unlike a lot of books on the topic, this one’s a cover to cover read that tells a story while it informs on the topic. I highly recommend checking it out. 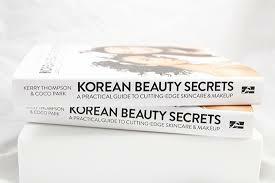 The second book I picked up was Korean Beauty Secrets. This one had a less compelling narrative, but it was thorough and very informative. Put together by beauty bloggers, Kerry Thompson Skin & Tonics and Coco Park The Beauty Wolf this book has a lot of great information, especially the portion where they lay out the beauty routines of eight different beauty bloggers, all with different skin concerns. 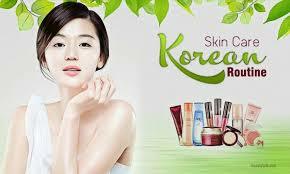 Korean Beauty Secrets also provides more information on particular skin care concerns like dehydrated skin and acne. They identify different Korean brands, and give lots of recommendations on products. There is also a great section on makeup. 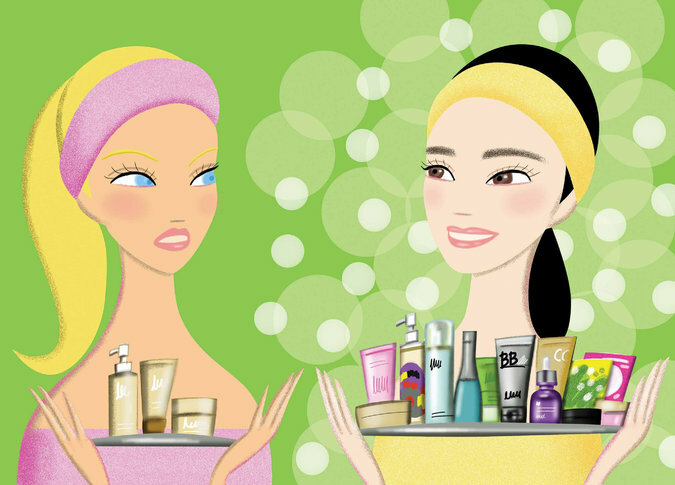 This may come as a shock but there is A LOT of information about makeup and skin care on the internet. When you want to learn about something like Korean beauty culture that vast pool of information can be both a blessing and a curse. 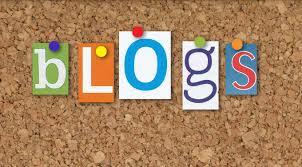 I found a lot of blogs dedicated to the subject, but you have to be an informed consumer. A lot of bloggers post sponsored content, which while I completely understand underlying the business reasons, the reader needs to understand that these are, at worse, ads; or, at best, personal testimonials. Also, some of the best sources of information are the blogs attached to retail sites. They provide a lot of information, but their ultimate goal is to get the reader to buy a product on their site. With those things firmly in mind, the following are a few of the blogs I found helpful. Fanserviced-B– This site has a ton of information about all things related to Korean beauty culture, including skin care, makeup, behind the scenes info on brands and much more. The tone is informative, but really fun and I enjoy reading her posts, even if it’s not a subject I am particularly interested in, which says a lot for her writing style. I highly recommend checking it out. the klog– Retail site Soko Glam’s blog is the klog, which I know is a mash-up of K and Blog, but honest my first thought is clogged pores, followed immediately by ugly shoes. So, unfortunately named, but a great source information. They feature articles on skin care and while they absolutely promote the products they sell, they also provide a lot of helpful information. Pibuu– Pibuu is the Korean word for skin and frankly, it’s adorable. I want to name my next cat Pibuu, or Jaquizz, it’s a toss-up I guess I will base it on personally. Anyways… this site has a beautiful, clean aesthetic. The articles are informative and interesting, maybe not super practical but a nice way to spend some time. I think of it as the goop of Korean skin care. If you have a week or two to waste, go ahead and search Korean skin care on YouTube and see what happens. Let me save you the trouble, you will be deluged with approximately 6 billion videos, talk about going down a rabbit hole, yikes. Here are a few worth checking out. 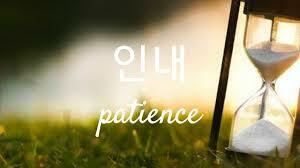 Joan Kim– Joan Kim’s channel has a lot of top 10 favorites videos and product reviews. 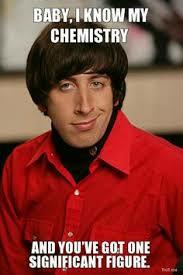 She also teams up with Edward Avila who is one sassy bit of business and I love him for it. They seem to really know what they are talking about and give some good advice on which products work and why. Soko Glam-Charlotte Cho– This channel has a lot of information about the skin care routine and the products available on the Soko Glam website. 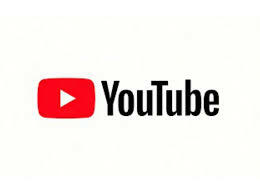 Their videos are well produced and cover a wide variety of subjects. The Beauty Breakdown Morgan Stewart’s channel is very entertaining. I’m not sure I learn anything new, but she is so cute and fun to watch that I catch myself going back for more all the time. Where to buy Korean Skin Care Products.